﻿ Best Price on Hotel La Posada del Angel in San Salvador + Reviews! 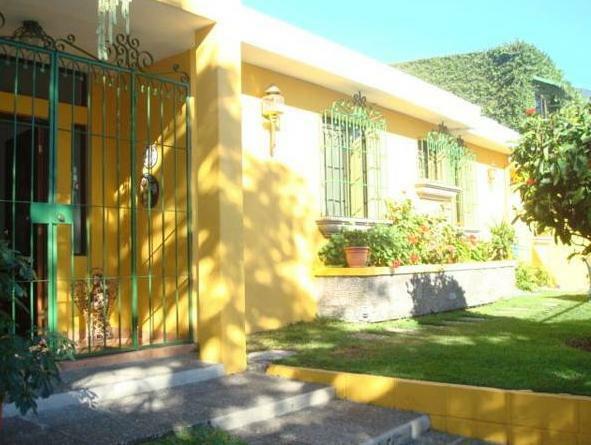 This pleasant B&B is set in San Salvador’s business and residential area, 1640 feet from the World Trade Center. It features a terrace with BBQ, a garden, free Wi-Fi and a free a la carte breakfast until 10:00. The air-conditioned rooms at Hotel La Posada del Angel feature bright décor and windows have mosquito nets. All include cable TV, a telephone and private bathroom. An iron and hairdryer can be rented at reception without an additional cost. The hotel has restaurant serving regional cuisine and a bar where you can enjoy a drink. The property also caters for events and conferences. Several bars, restaurant and shops are within 5 minutes’ walk. La Posada del Angel is 10 minutes’ drive from the center and San Salvador Cathedral. The Presidential House and International Trade and Conference Center are 5 minutes’ drive away. The property offers free parking and is a 20 minutes’ drive from Llopango International Airport.